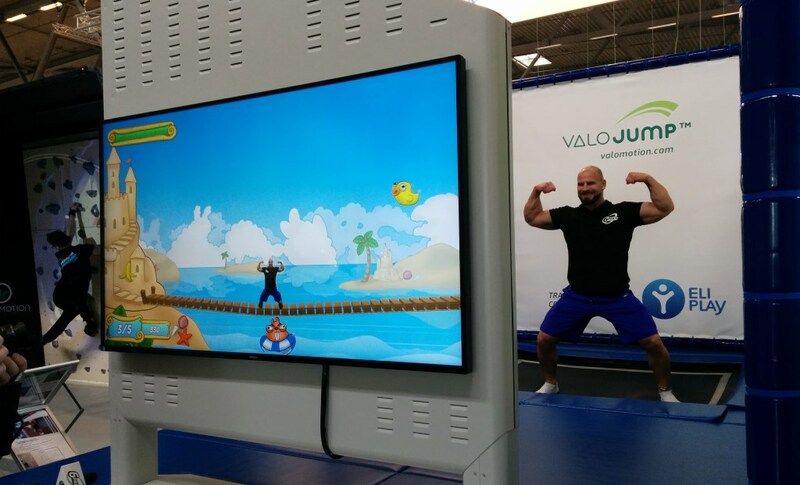 ValoJump Launch at FIBO 2018 was a Huge Success! 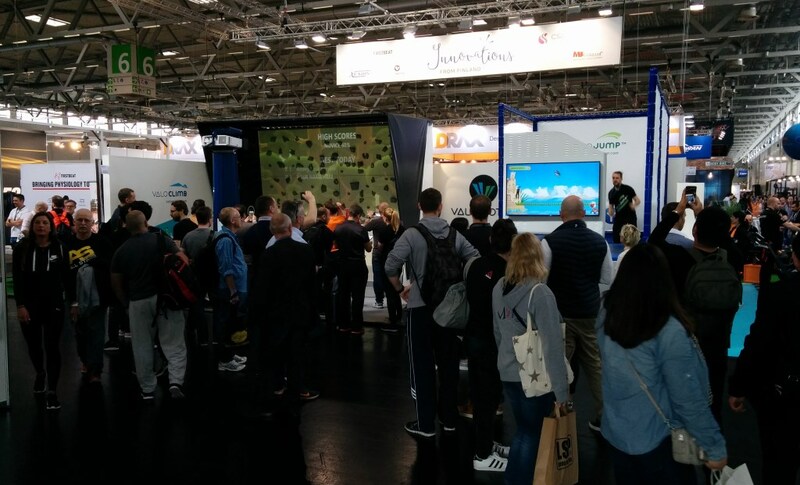 The Global Fitness Event, FIBO 2018, on 12th – 15th of April in Köln Germany, was a great success for Valo Motion. 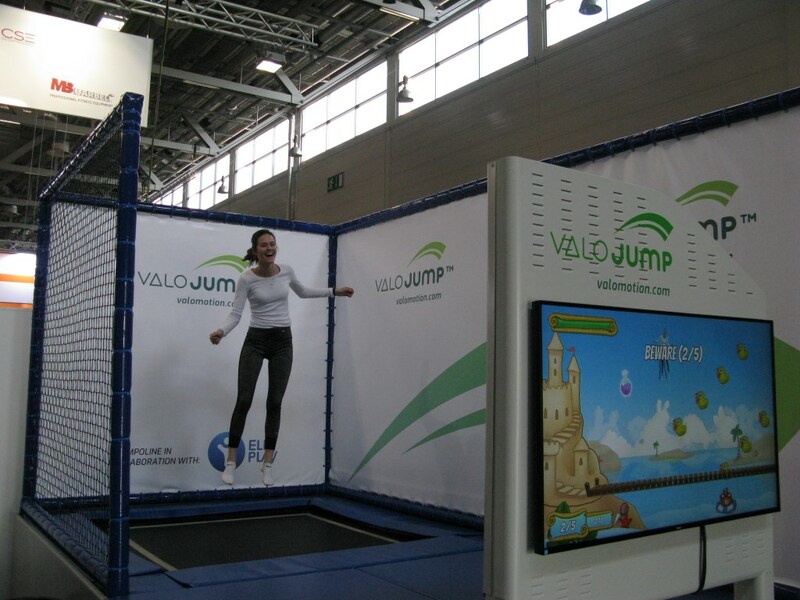 The ValoJump trampoline game was launched there with large crowds and excellent feedback. The feeling at the launch was very easygoing and inspiring. 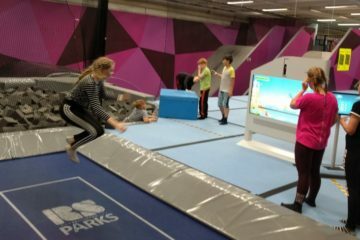 The new trampoline game was received with laughter and excitement. 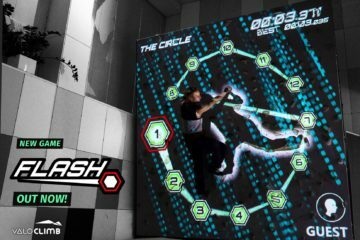 The audience showed great interest towards this new game, where doing sports and having fun has been taken to a completely new level. 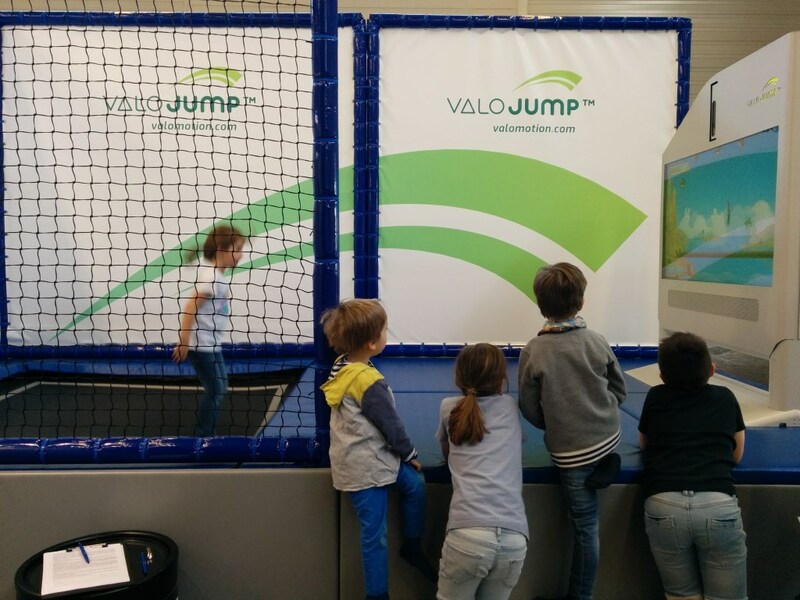 Valo Motion managed to bring people together from very different backgrounds and age groups with their ValoJump trampoline game. It was exciting to notice, how business people, sports people, kids and even physically challenged people were enjoying it together. Valo Motion captured the attention of the international media very well and was widely noticed by different local and global media. At one point, there were even three different TV stations shooting simultaneously at the stand showing the joy of the excited players to their viewers. A crowded stand kept our staff busy, and the game itself had over 500 players during the event. 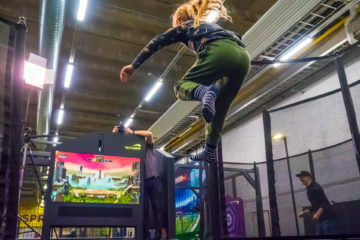 Our thanks go out to all the visitors and most of all our new partner, ELI Play who was kind enough to provide us with the trampoline used at the event.